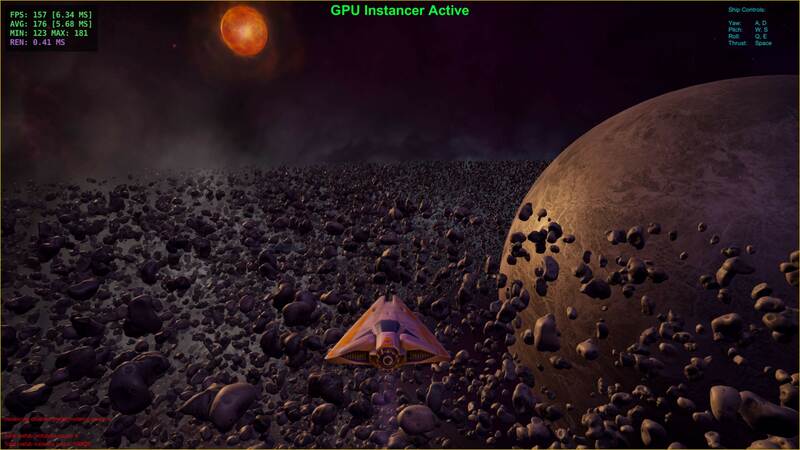 The purpose of these demo builds is to showcase the performance of GPU Instancer. You will be able to test the asteroids demo scene with various asteroid counts while flying around with the spaceship. You will also be able to run these tests with and without GPU Instancer for comparison. There are various demos for different platforms. The VR build currently supports OpenVR and Occulus with MultiPass rendering. Android demo requires OpenGL ES 3.1 and Android 8.0 Oreo or later. Please note that these demos also collect information about your system specs and frame rates during your experience into a database. This is for analyzing and further improving GPU Instancer in future updates.